Thanks to all who attended yesterday's Car Boot Sale. It was a fantastic start to 2019.The next Car Boot Sale takes place on Monday 6th May.The club grounds open at 7am for sellers. NO BOOKING REQUIRED - just show up on the day! 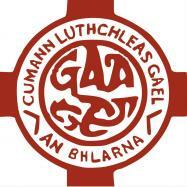 Please note - gates close for sellers at 10am.Traders:Car €15Van €20Patrons €3No dogs allowed.If you require any further information, please contact Ray Coleman on 087 233 3180 or email pro.blarney.cork@gaa.ie and we will be happy to answer any questions you may have.